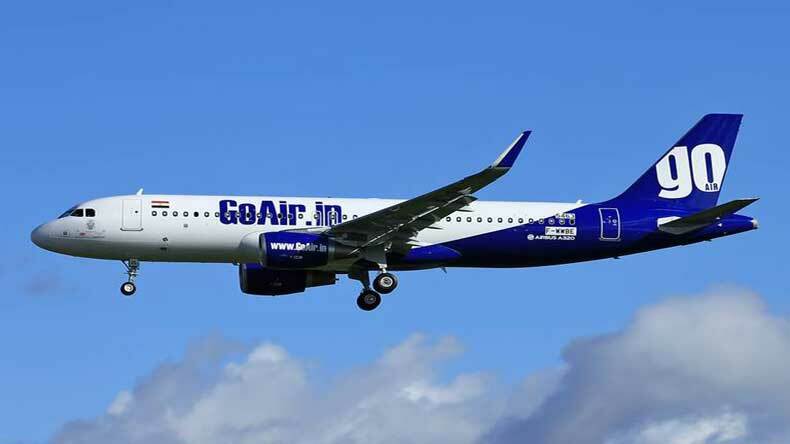 Panic was triggered among passengers on board a GoAir flight from New Delhi to Patna when a fellow traveller tried to open the exit door of the flight mid-air. The passengers, in his late 20's, was restrained by the crew members immediately and was handed over to the Central Industrial Security Force (CISF) once the flight landed at Patna’s Jayaprakash Narayan International Airport on Saturday. Panic was triggered among passengers on board a GoAir flight from New Delhi to Patna when a fellow traveller tried to open the exit door of the flight mid-air. The passengers, in his late 20’s, was restrained by the crew members immediately and was handed over to the Central Industrial Security Force (CISF) once the flight landed at Patna’s Jayaprakash Narayan International Airport on Saturday. The CISF personnel then handed over him to the airport police for interrogation. During the interrogation, the passenger revealed that it was his first time that he was travelling in an aircraft. Being a first-time flier, he mistook the exit gate as a door to the loo. The passenger, in his late 20’s works in a private bank in Rajasthan’s Ajmer. His statement has been verified and had boarded the GoAir flight G8149 travelling from New Delhi to Patna. The airport police confirmed that he was a first-time flier and whatever that happened in the flight was out of confusion. Reports said that a couple of passengers were watching him walking towards the exit door. The moment he trie to open the exit door, they alarmed the crew members. Although the airborne plane can’t be opened due to cabin pressure, the man was apprehended by the aircraft crew members. Also, the passenger has been released on Sunday on a personal bond. A similar kind of incident happened in May when a Chinese passenger opened the emergency exit on a plane because the cabin was “too stuffy and hot.” He was arrested and kept in detention for 15 days, reports said.